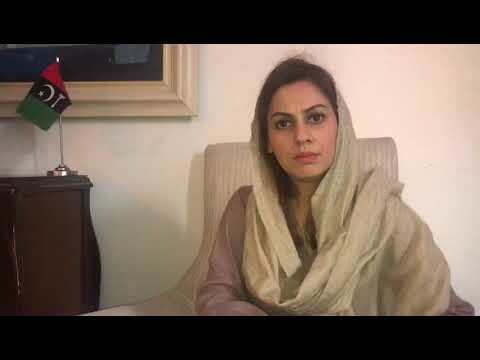 Islamabad: Pakistan People’s Party (PPP) leader Natasha Daultana Sunday said the Pakistan Tehrik-e-Insaf-led government was trying to victimize the political opponents in the garb of accountability. Daultana, the PPP South Punjab General Secretary, said the PPP leadership was being targeted by the PTI-led government in an attempt to silence them. “The PPP has sacrificed its leaders. Our leaders have been jailed in the past. The PPP cannot be silenced through fake accountability,” she said in a statement. Natasha Daultana called for “dispelling the growing perception that accountability is being used to victimize opponents and for political re-engineering.” She added: “The PPP has no tolerance for corruption and calls for across the board accountability. But any attempt to settle political scores or re-write the social and political landscape in the name of accountability is a worse form of corruption”. Natasha Daultana said during the PPP-led government neither there were political prisoners nor witch hunting nor political victimization of any kind. “Accountability must not only be above board but also be seen as such,” she stressed. She said instances were abound giving rise to the perception that the National Accountability Bureau (NAB) was being used as a political tool by the government to achieve some political objectives. She demanded that the accountability body and its political masters must be held accountable for arresting opponents. Natasha Daultana said the PPP will make a comeback in Punjab. “Whenever the elections are free and fair, we perform well in Punjab,” she maintained.